Idealised dimensions, the riding position sees the front lowered and the rear raised, creating a more aggressive posture. 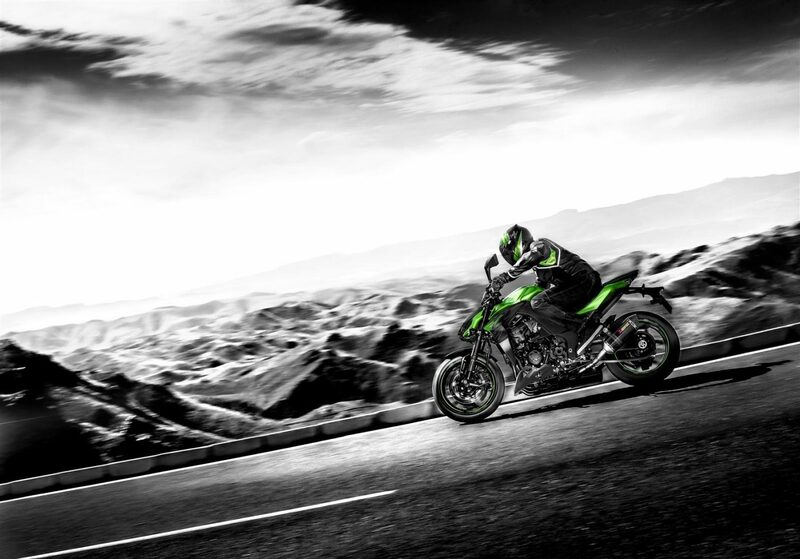 The more aggressive position matches the bike’s more direct throttle response and handling, putting riders in a position to fully capitalise on the Z1000’s sportier street riding potential. An all-new tight-fitting bodywork captures the essence of a crouching predator ready to pounce. The lean, muscular styling hints at the Z1000’s more direct, sporty street riding performance. The highly rigid aluminium frame features a high degree of mass centralization, creating a balance between sharp turning Aluminium twin-tube frame design features frame beams that go over engine, allowing a narrow construction between Lightweight and highly rigid, the frame uses the engine as a stressed member. The frame offers a firm, planted feeling, good stability and light, nimble turning. The more direct handling of the new Z1000 can be largely attributed to its new suspension. The new SFFBP achieves both comfort and sport potential ideal for street riding. Combining the concepts of Showa SFF and BPF, the new fork features springs on both sides, with preload adjustability in. New for 2016 is the addition of an assist and slipper clutch. This type of clutch was developed based on feedback from racing activities. Not available on the previous model, not only does it allow for a lighter and sportier feel at the clutch lever during clutch operation, it also prevents rear-wheel hop during gear downshifts at high rpm.